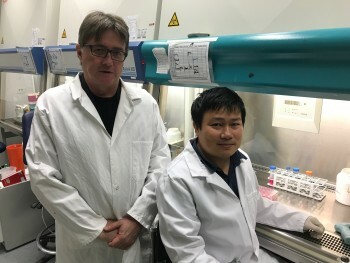 Professor Peter Shepherd, Dr Khanh Tran and their team at the University of Auckland, have been awarded $50,000 for one year to study a form of colorectal cancer which is difficult to treat normally. A drug combination used to treat melonoma will be trialed in the laboratory as a pre-clinical experiment to determine if there is any tumour response using the drugs vemurafenib and axitinib. This funding is thanks to the Ted and Mollie Carr Fund through Perpetual Guardian.